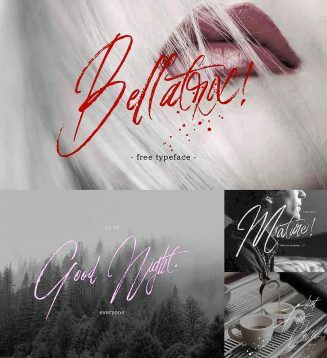 Introducing Bellatrix Handbrush Font! Bellatrix designed and shared by Pathero Studio. Bellatrix Free Typeface is a handbrush. The style of handwriting and irregular but still elegant, and you will enjoy to use this font style. This is perfect for branding projects, homeware designs, product packaging – or simply as a stylish text overlay to any background image. Tags: brush font, calligraphy, hand brushed, handbrush, typeface.